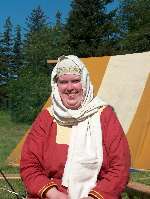 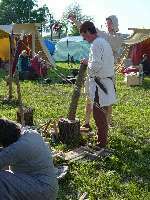 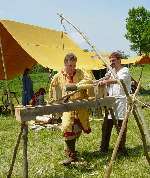 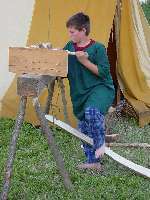 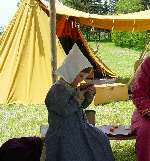 These pictures were taken at a living history exhibit put on by the Ontario "Anglo Saxon Group" made up mostly of our Regia members. 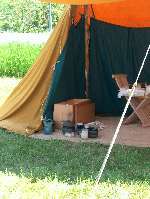 Please exuse any inauthenitc items that appear in these pictures, especially in the background. 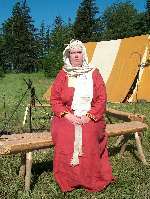 Note that the members of the public for this display were SCA members, so some of the pictures include spectators that are either in modern clothes, or garments not accurate to regia's time period.